Zhi-Min Zhang and Xu Zhang contributed equally to the present work. The online version of this article (doi: 10.1007/s10858-012-9695-5) contains supplementary material, which is available to authorized users. This work was supported by grants from the National Program on Key Basic Research of China (2009CB918600, to J. Z. and M. L.), the National Grand Project for Medicine Innovation (2011ZX09506-001) and the Natural Science Foundation in China (30971878, to B. Z.). 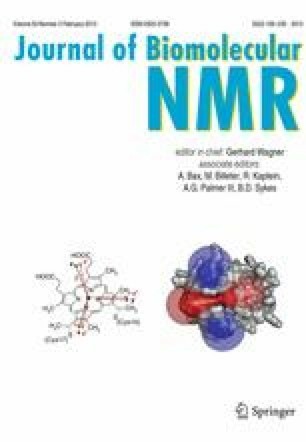 We are grateful to Prof. Chunyang Cao and Yan Zhang for valuable suggestions in NMR structure determination. We also thank Dr. Wenyu Wen for her help on H/D exchange experiments.